Deputy Eugene C. Moore, above, and Sheriff C.G. Maxwell, at left. Soon after his release, Barrow and Fults assembled a gang and began a series of robberies. Their goal was to collect enough money and firepower to bankroll a mass breakout against Eastham. On April 19, 1932, however, Parker and Fults were captured in a failed hardware store burglary in Kaufman, Texas, and jailed. 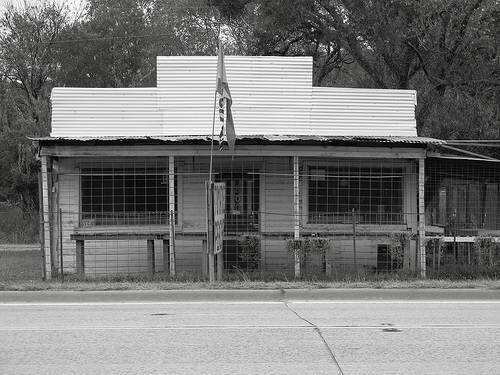 Less than two weeks later, on April 30, Barrow was the wheelman in a robbery in Hillsboro, Texas, during which the store’s owner, J. N. Bucher, was shot and killed. the victim’s wife identified Barrow's mugshot as one of the shooters, even though there is considerable evidence that he had stayed outside in the car. Meanwhile, Parker remained in jail until June 17 when she was released after a Kaufman County grand jury declined to indict her. Within two weeks, she was back with Barrow and they would remain together until their deaths 23 months later. On Aug. 5, while Parker was visiting her mother in Dallas, Barrow, Raymond Hamilton and Ross Dyer attended a country dance in Stringtown, Okla., where they were drinking heavily, an act illegal under Prohibition. When Sheriff C.G. Maxwell and his deputy, Eugene C. Moore, approached them in the parking lot, Barrow and Hamilton, likely thinking they were about to be arrested for their crimes, opened fire, killing the deputy and gravely wounding the sheriff. It was the first killing of a lawman by Barrow and his gang, a total that would eventually reach nine. A civilian was added to the list on Oct. 11, when storekeeper Howard Hall was killed during a robbery of his store in Sherman, Texas. For a take of $28 and a few groceries, Barrow passed the point of no return. With Fults still in jail, Barrow gained a new member on Christmas Eve when 16-year-old W. D. Jones, a friend of the Barrow family since childhood, persuaded Barrow to let him join. Barrow, Parker and Jones left that night, and the very next day, on Christmas morning, Jones learned what life on the run was really like. 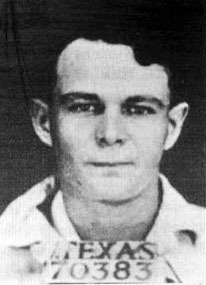 He and Barrow were stealing a car in Temple, Texas, when its owner, Doyle Johnson, came out of the house and confronted them. 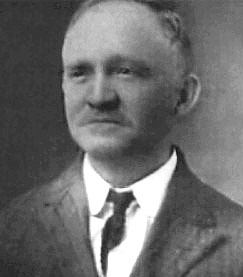 Barrow and Jones opened fire and killed Johnson in front of his wife and small children as he stood on his front porch. 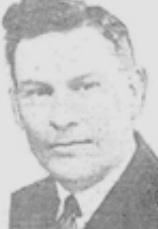 Less than two weeks later, on Jan. 6, 1933, Barrow killed Tarrant County Deputy Sheriff Malcolm Davis when he, Parker and Jones wandered into a police trap that had been set for another criminal. The death brought the gang’s total to five since the previous April. This is an undated photo of the former site of the Stringtown dance hall on Route 69. 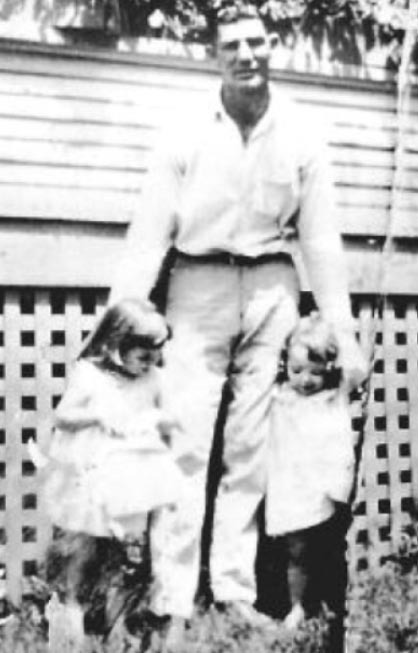 Moore with his daughters Charlene, at left, and Billie Jean. 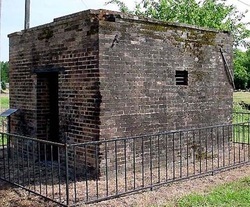 The jail were Bonnie Parker was kept. The plaque in front and just to the left of the door notes the jail's connection to Bonnie. Stringtown memorial. Above is a readable closeup of the memorial.